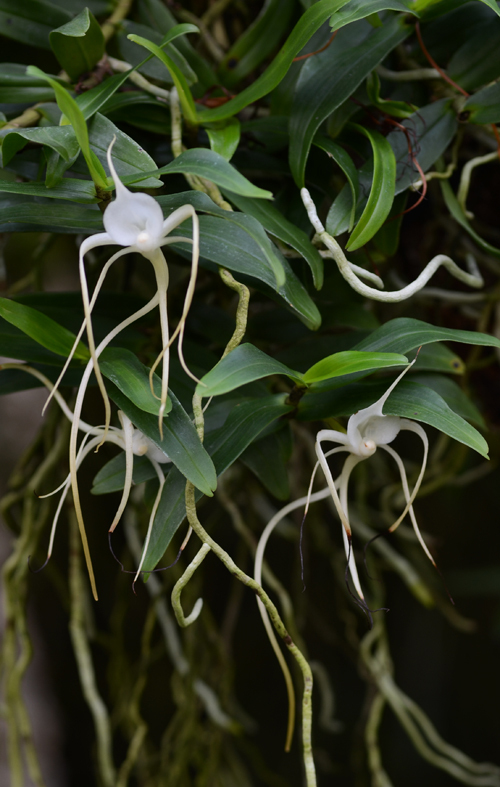 As much as I love Darwin's Orchid (Angraecum sesquipedale), that handsome fellow with the floral spurs, I must confess that I think its first and second cousins are cuter. 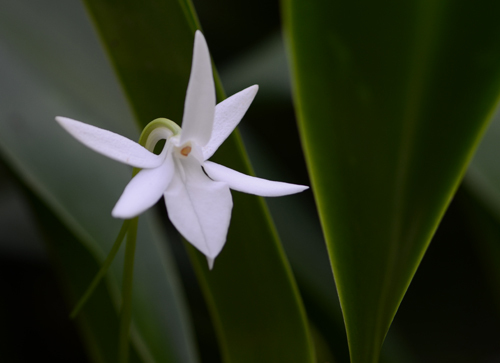 Tiny Angraecum arachnites and Aerangis biloba have been flowering for the last few weeks in the Orchid Display House. And they are irresistible. 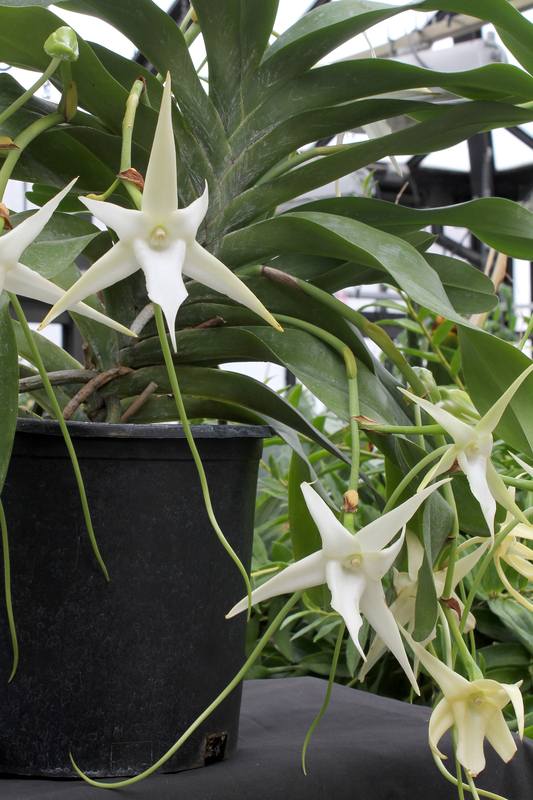 Completely absent is the 'I dare you to look away' magnetism of Angraecum sesquipedale. Likewise the overpowering fragrance (present only at night, how obvious). You have to search for these little guys. And look; each tiny flower has a long floral spur, too. 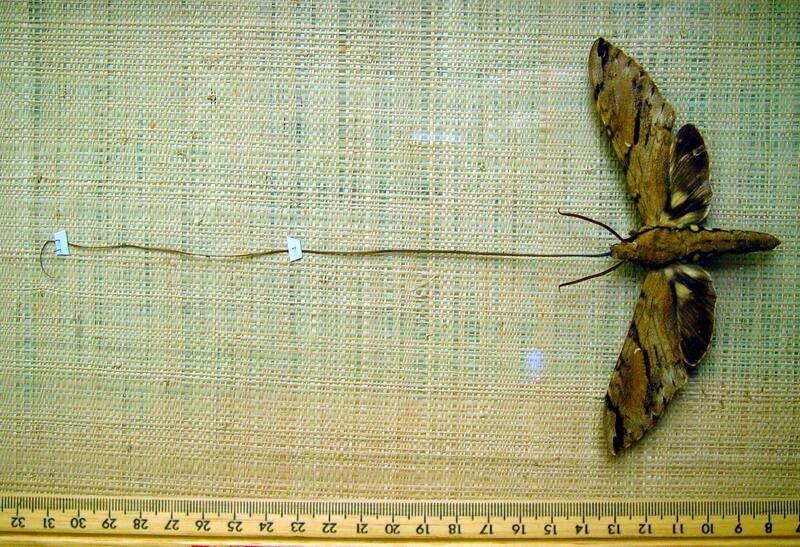 The spur is a hollow tube with nectar at its furthest end--designed to tempt hungry hawkmoths. So, what's up with the spur? 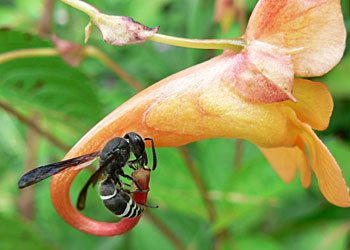 Lots of flowers, like Impatiens, have nectaries. 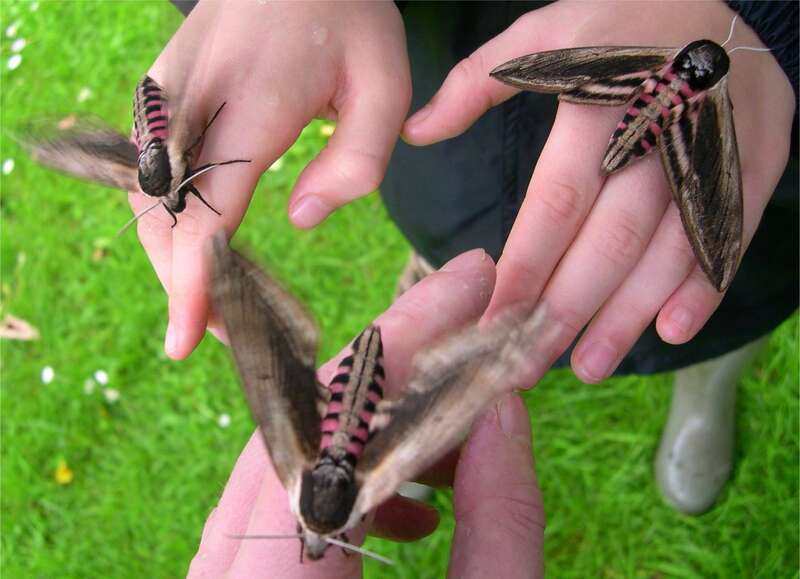 Why are these so long? 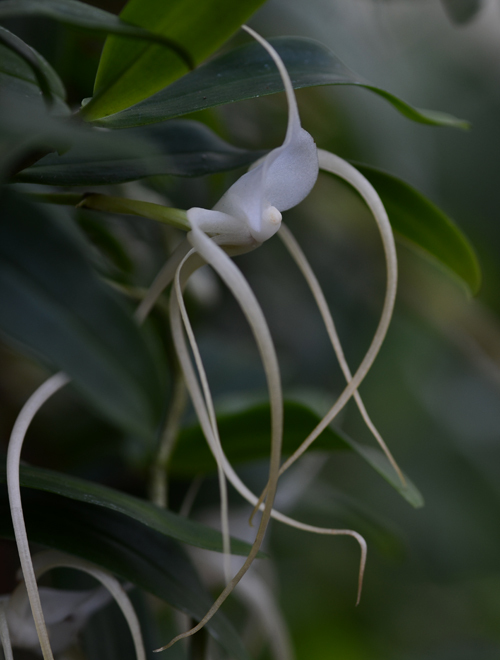 The amazingly long spurs of some orchids in the subtribe Angraecinae is the result of coevolution between these orchids and long-tongued hawkmoths. 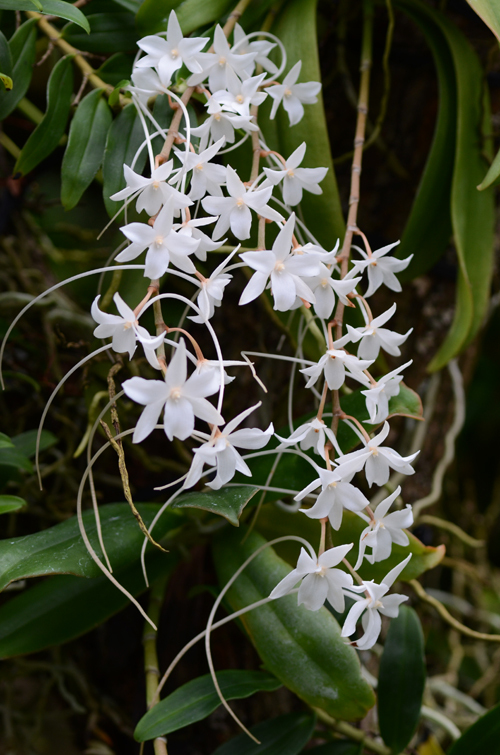 Darwin's Orchid and its pollinator are an extreme example of coevolutionary specialization--demonstrated by the almost absurd length of spur (up to 32 cm in Angraecum sesquipedale) and tongue (up to 25 cm Xanthopan morgani ssp. praedicta). Extreme coevolutionary specialization is rare and only happens over a very long period of time in an isolated and stable environment. As Darwin noted presciently, it almost certainly puts both plant and pollinator at risk of extinction if environmental conditions change. And conditions are changing. Should we be concerned? Are our orchids with spurs vulnerable? Absolutely. 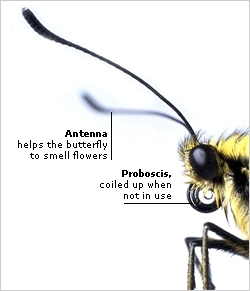 All orchids are dependent upon other organisms (pollinators, and mycorrhizal fungi for example) for their survival--our orchids with spurs are simply among the more vulnerable. * Recent studies indicate that this process may be more complicated than Darwin imagined--the coevolutionary "race" between a plant and a single pollinator species may actually involve a sequential shift among a series of pollinators.